St Tudy Bed and Breakfasts. Compare latest rates and Live availability for all your favourite places and places you have always wanted to go using our new My Shortlist feature. Click + to add to your Shortlist. Bed and Breakfasts in St Tudy, Cornwall for 1 night from Fri Apr 19, 2019 to Sat Apr 20, 2019 within 10 miles, in an Average Nightly price range of £1 to £200. Welcome to The Countryman - a small family-run hotel situated just a two minute walk from the centre of the historic market town of Camelford. There are ten tastefully furnished and decorated bedrooms with ensuite rooms available as well as single and family rooms. Camelford makes an excellent base from which to explore North Cornwall. We are only ten minutes drive from the spectacular Cornish Coastal Footpath and five from breathtaking Bodmin Moor. The world acclaimed Eden Project is a short drive away and The Lost Gardens of Heligan are also within easy reach. Whether you are planning your first visit to the area or are familiar with this beautiful countryside you will find plenty to do and see during your stay. The Countryman is just off Route 3 on the National Cycle way and secure storage is available for bikes. br / br / br / br / A drying room is also available. The comfortable lounge is the ideal place to sit and relax there is an extensive collection of maps and books of local interest as well as plenty of games and puzzles to occupy all tastes. Breakfast is a choice of traditional or continental and special dietary requirements can be accommodated. In the evening Camelford offers a choice of pubs and restaurants or you may like to go further afield to visit some of the excellent places to eat in the local area. You may eat in the hotel prior by arrangement. Children are especially welcome cots and highchairs are available. Sorry no pets. A small family-run hotel situated just a two minute walk from the centre of the historic market town of Camelford. An excellent base from which to explore North Cornwall. Colliford Tavern offers accommodation in Saint Neot. The guest house has a children's playground and views of the lake, and guests can enjoy a meal at the restaurant or a drink at the bar. Free private parking is available on site. Rooms have a TV. A terrace or balcony are featured in certain rooms. All rooms have a private bathroom equipped with a bath or shower. Extras include free toiletries and a hair dryer. The area is popular for golfing and fishing. Plymouth is 37 km from Colliford Tavern, while Newquay is 38 km from the property. The nearest airport is Newquay Airport, 31 km from Colliford Tavern. Jamaica Inn hotel Cornwall s legendary coaching house immortalised in Daphne du Maurier s novel of the same name has stood high on Bodmin Moor for over four centuries. We re still referred to by historians as Cornwall s most famous smuggling inn. These days we do welcome the more salubrious guest.. and the odd ghost! On the A30 between Launceston and Bodmin The Jamaica Inn is full of character with beamed ceilings open fires and real ales. Some of the traditional rooms are in the original inn and some are in the modern annex. You will find 20 well appointed bedrooms all en-suite with a number of romantic four poster bedrooms. Free WIFI and Parking are available onsite no reservation needed. From breakfast until late evening you can enjoy an extensive range of home cooked food with museum gift shop and two bars on site. We are a family friendly hotel and inn and offer a children s play area and beautiful gardens that overlook Bodmin Moor. The Jamaica Inn has easy access to the Eden Project and Falmouth s National Maritime Museum. Please note our latest check-in time is 23:00. Please make arrangements if you need to arrive later. On the A30 between Launceston and Bodmin, The Jamaica Inn offers 20 en-suite rooms, free WiFi and Sky channels offering sports and movies. Guests can enjoy the property's bar, restaurant, souvenir shop, farm shop and museum. Some of the traditional rooms are in the original inn and some are in the modern annex. A full English breakfast is provided. Guests will find period features in their rooms and throughout the property. There is a children's play area and beautiful gardens that overlook Bodmin Moor. The Jamaica Inn has easy access to the Eden Project and Falmouth's National Maritime Museum. 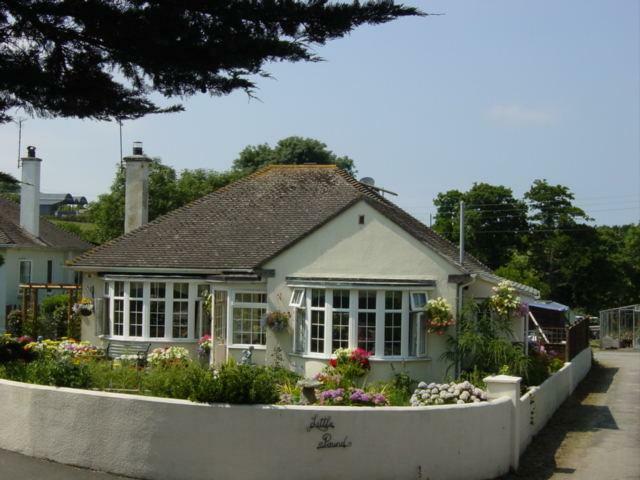 Trelawney House Bed and Breakfast is situated in Saint Mabyn and offers a garden and a terrace. Guests staying at this bed and breakfast have access to free WiFi. The bed and breakfast has a TV. A continental breakfast is served each morning at the property. Guests can also relax in the shared lounge area. Newquay is 32 km from the bed and breakfast, while Padstow is 19 km from the property. Newquay Cornwall Airport is 26 km away. In peaceful grounds and countryside, Tredethy House is a relaxed, elegant English country house built in the Tudor period. It offers spacious bedrooms, many with views of the grounds and garden. At weekends, during season, the Tratorria serves simple Italian food using seasonal and organic ingredients. An organic continental buffet is served for breakfast and includes Italian ham, fresh, local bread, warm croissants, cereal, jam, fresh fruit salad and yogurt. The country house is in an area of outstanding beauty and a 15-mile drive from the Eden Project. Lanhydrock House and Gardens are about 5 miles away. Tredethy House was the home of Prince Chula of Thailand until the late 60s. Today, the 7 acres of grounds at Tredethy Country House host beautiful, colourful plants, trees and flowers all through spring, summer and autumn. Set within a 16th-century coaching inn, The Cornish Arms is located in the traditional village of Pendoggett, on the North Cornwall coast, 2.5 miles to the traditional fishing village of Port Isaac. There is free parking and free Wi-Fi. All rooms have en suite bathrooms. The Cornish Arms offers freshly prepared meals, using locally sourced ingredients wherever possible. The bar serves a range of cask ales, along with craft ales and ciders, including gluten-free options. A selection of gins are also available. Displaying traditional slate floors, wooden beams and log burners, The Cornish Arms aims to provide a welcoming atmosphere, with old world charm. The property is set close to a coastal path and offers easy access to beaches known for surfing and swimming. St Kew Golf Course is less than a 10-minute drive away. Cornwall's Crealy Adventure Park and Padstow can be reached in 30 minutes by car, while the Eden Project is 20 miles away. Overlooking the championship golf course, this hotel has an award-winning restaurant, free Wi-Fi and free parking. The charming villages of Tintagel, Port Isaac and Boscastle are 15 minutes' drive away. In the 13th century, Bowood Park was part of the Black Prince's deer park. It is still set amid 230 acres of picturesque hills and woodland. The hotel has modern dÃ©cor and luxurious fittings throughout. Each room has an en suite bathroom, a TV, and facilities for making tea and coffee. Guests can dine in the hotel's restaurant, which offers British and international dishes, including local seafood. Cornish cream teas and a Sunday carvery are also available. The Bowood Park Golf Club has a course which meets USGA standards and is open all year round. Golf clubs and buggies are available for hire on site. The North Cornwall coast, with its surfing beaches and fishing villages, is 15 minutes' drive away. The Poldark Inn is situated at the highest point of the Treligga Downs in Cornwall and less than 2 miles from the coast. Set in a picturesque secluded location, the inn offers free Wi-Fi and free private parking. The Poldark's accommodation consists of both guest bedrooms and self-catering apartments, all of which have either coastal or scenic countryside views and are equipped with a TV. Most rooms feature an en suite bathroom and the apartments include a kitchen and lounge area. The on-site bar features a good selection of beers and real ales and provides traditional English pub food. Guests can relax by watching live sports at the bar or by playing a game of pool on the 2 pool tables available. The inn is situated on the North Cornwall coastal path, offering scenic walks to the quiet Tregardock Beach, which is less than a mile away. Trebarwith Strand is just over 2 miles from the inn and offers a large sandy beach and many cliffs and natural caves.